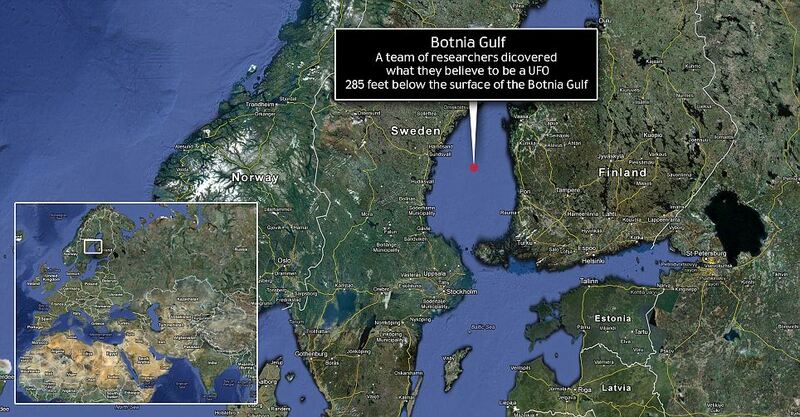 Since its discovery at the bottom of the Baltic Sea in May 2011, the anomaly has fascinated observers. 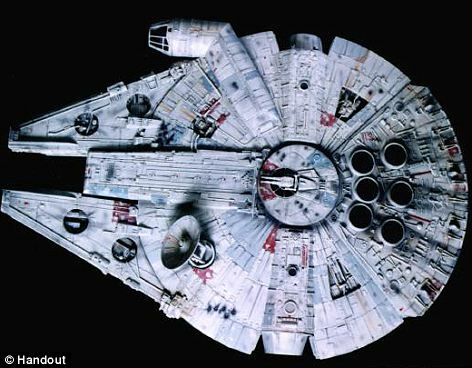 The apparently man-made object sits at the bottom of the ocean, looking for all intents and purposes like a drowned Millennium Falcon from the Star Wars movies. 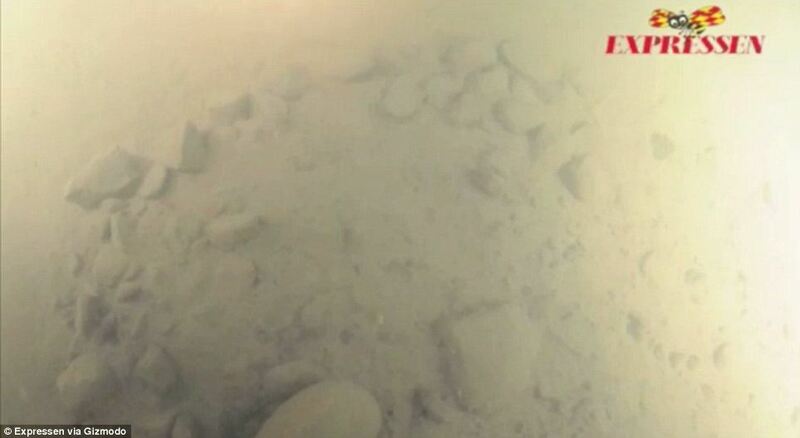 Theories have ranged over its purpose since the Ocean X Team discovered the object on sonar scans. 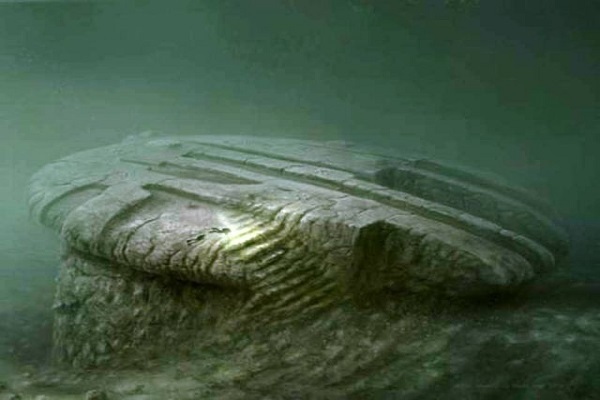 To some observers, it is a UFO – The ‘Roswell of the Ocean’, while others speculate that it is a Nazi anti-submarine defence, or a plug to the underworld. But according to one expert, the ‘strange’ and ‘mysterious’ object, as described by the team who found it, is nothing more than glacial rocks that have been dragged across the ocean floor. Volker Brüchert, an associate professor of geology at Stockholm University, was handed stone samples of the object for analysis. He said he believed he was seeing nothing more than normal rocks, and told Live Science: ‘It’s good to hear critical voices about this ‘Baltic Sea mystery. He told Live Science that these are ‘exactly what one would expect to see in a glacial basin, which is what the Baltic Sea is – a region carved out by glacial ice long ago’. The divers from Ocean X also gave Brüchert a single loose piece of basaltic rock, a type of rock that forms from hardened lava, which he told the website was ‘out of place on the seafloor, but not unusual’. He said: ‘Because the whole northern Baltic region is so heavily influenced by glacial thawing processes, both the feature and the rock samples are likely to have formed in connection with glacial and postglacial processes. 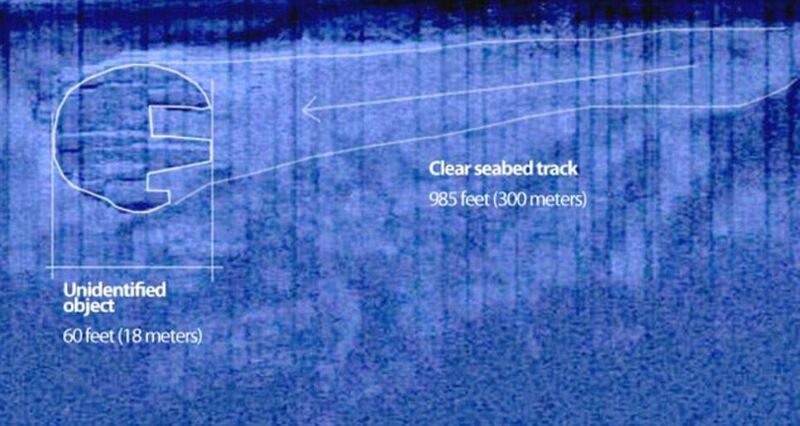 Based on the scans, the object appears to be raised 10ft above the seabed and measuring 200ft by 25ft – but the scans have also been called into question. Sonar-scanning expert Dan Fornari, from the Woods Hole Oceanographic Institution in Massachusett, told Yahoo: ‘The sonar image has numerous artifacts in it that make it difficult to interpret, and I would not place too much confidence in any interpretation until a better processing is done and the details of the type of sonar and particulars are provided. One plausible explanation is that the formation is an anti-submarine base. Swedish submarine officer, Anders Autellus said the object has the shape of a German submarine trap from the Second World War. These huge concrete structures were built to make navigation more difficult for Soviet submarines. Speaking to the Swedish newspaper Expressen, Autellus said that similar concrete structures had been built by the British during World War II. Autellus says it is likely that the object is built from double-skinned concrete for the purpose of holding large steel wire mesh structures, expected to disturb the propagation of radar and other signals used by any nearby submarines. During the decades after the war, the wire mesh structures would have eroded away, leaving only the holes shown on the images provided by Ocean X. So if this was discovered in 2011 we don’t actually know anything about it but wild guesses in 2014? If its that interesting why hasn’t there been an international investigation? This is an old story, just ‘content’, nothing new. Are you really that dumb or does it take practice? That is the concrete ballast of a Russian Novogorod Class Warship with the steel rusted away. Look it up the shape marches perfectly.